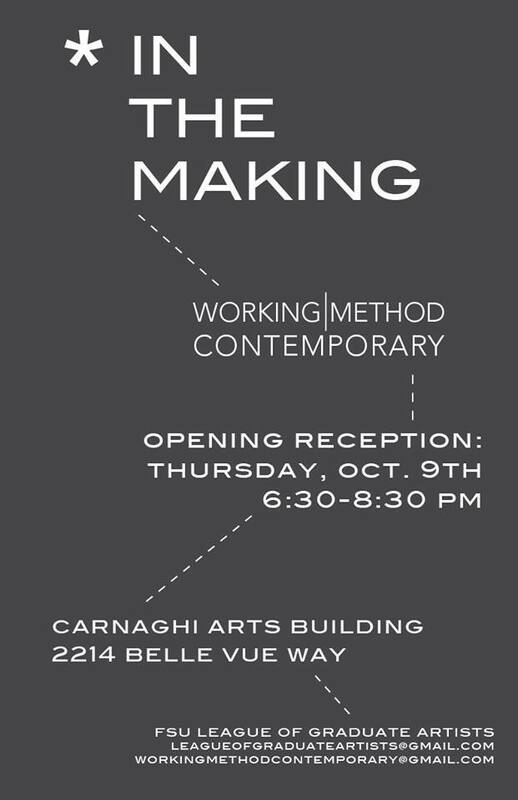 Working Method Contemporary is pleased to announce the opening of In the Making, an all media exhibition featuring 17 Master of Fine Arts candidates in Studio Art at Florida State University. The exhibition will be on view from October 9th until October 31st, with an opening reception on Thursday, October 9th 2014 from 6:30-8:30pm.The reception is free and open to the public. 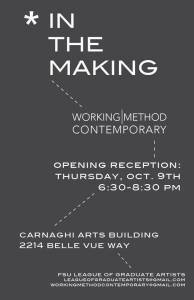 Working Method Contemporary is located inside the Carnaghi Arts Building at 2214 Belle Vue Way, Tallahassee, Fl 32303.